Do Birth Control Pills Cause Gallbladder Problems? In this article I'm going to help you understand what your gallbladder is, what it does and what it looks like for it not to be functioning optimally. 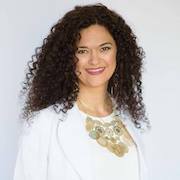 And we're going to explore the impact of birth control, estrogen and thyroid health on your gallbladder, plus I'll provide you with some natural solutions. The gallbladder is a pouch that sits under the liver. It’s job is to store the bile produced by the liver. It’s an accessory to the liver—think of it as a designer purse for your liver. Your liver produces bile and then stores it away in the gallbladder. When you eat meals, your gallbladder secretes bile into your intestines to help with fat digestion and the absorption of fat soluble vitamins. In addition to aiding with fat and fat soluble vitamin absorption, bile acid is antimicrobial and defends the health of your small intestine against microbes that shouldn’t be there. Gallbladder dysfunction can be a root cause of small intestinal bacterial overgrowth (SIBO) and leave women not only susceptible to developing this, but also make it more difficult to treat. As I explain in Beyond the Pill, you need bile to properly remove excess estrogen from your body. You need a healthy, functioning gallbladder to support hormone balance. Estrogen dominance is also a common contributing factor in why women lose their gallbladder. Hormonal birth control pills are no exception. Elevated estrogen can lead to dysfunction of the gallbladder, which prevents it from efficiently emptying. In addition, estrogen dominance can also alter the quality of the bile, making it thicker and more difficult for the gallbladder to excrete. Birth control pills have been long recognized in contribution to gallbladder disease and gallstones, known as cholelithiasis. Gallstones are when your bile acids crystalize into stone-like structures. These gallstones can lead to pain, nausea and inflammation. While the increased risk is considered small, there are other factors that should be considered. If you’re using hormonal birth control and already at high risk for gallbladder disease then the pill may pose a more significant risk in developing gallbladder disease. In addition, birth control pills can alter thyroid function, which has a role to play in gallbladder health. Many of my patients and readers have reported developing gallbladder dysfunction after stopping birth control. When I ask further questions about their symptoms it is often that they were having issues when they were on the pill, but were managing the symptoms by avoiding foods, taking digestive enzymes, or thought they were having a “back problem” not a gallbladder problem. How can gallbladder disease arise post-birth control? One theory is that after you stop birth control you may not begin ovulating regularly or your corpus luteum may not be able to make adequate progesterone due to nutrient depletions and other issues caused by birth control. 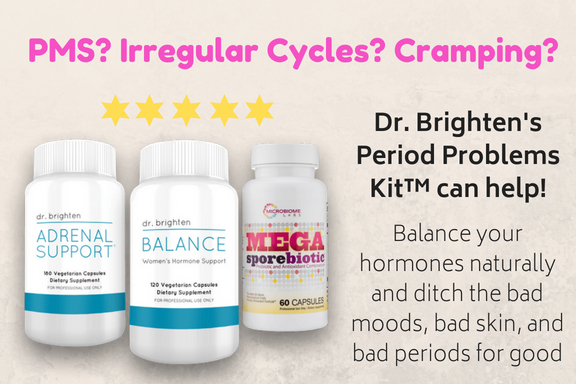 Read this article learn more about how your menstrual cycle works. If you do not have adequate progesterone to challenge the estrogen you are making then this can lead to estrogen dominance. 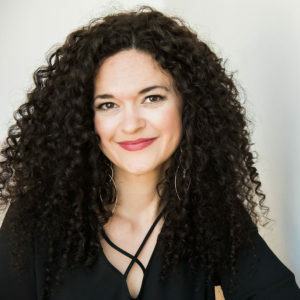 In addition, because birth control has such a significant impact on gut health and your microbiome, you can have alterations in how your gut metabolizes and moves out estrogen. This would also contribute to estrogen dominance. Learn more about how to support your body and avoid post-birth control syndrome by downloading my free guide. 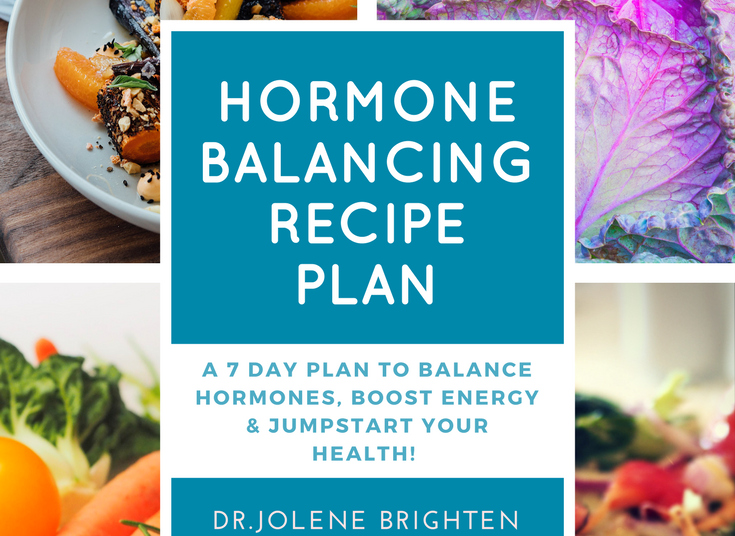 As I explain in chapter 7, Energize Your Thyroid and Adrenals, in Beyond the Pill, hormonal birth control can impact your conversion of inactive thyroid hormone (T4) to active thyroid hormone (T3) by nutrient depletions alone. T3 is important in stimulating hydrochloric acid production in the stomach, which then triggers the cascade of digestive processes that causes your gallbladder to excrete bile acid. Your thyroid requires zinc, selenium, and B vitamins to create T4. All of these nutrients are depleted by birth control pills. Without adequate nutrients your thyroid can not produce T4. T4 is necessary for gallbladder function and bile flow. Low levels of T4 may contribute to the formation of gallstones and gallbladder disease. Who is at Risk for Gallbladder Problems? Women are at highest risk for gallbladder disease. In medicine there is mnemonic called the five f that are risk factors for gallbladder disease. Being a woman who is considered fertile is a risk factor for gallbladder disease because of how your hormones impact gallbladder function and health. For women with fair skin entering or already in their forties, there is also an increased risk. At this time in a woman’s life she is ovulating less frequently and as such, is more likely to be estrogen dominant. The “fat factor” isn’t a judgement. It is a way for doctors to remember these risk factors. I know no one likes to think of themselves as “fat” (raises hand) and at the same time, we need to recognize that our fat cells can function as an endocrine organ (hormone producing). Obesity is a risk factor due to the alterations in the balance of cholesterol, bile acids, and lecithin in the gallbladder that can increase the likelihood you’ll form gallstones. It is important to note that rapid weight loss can also lead to gallbladder dysfunction, which is where partnering with a doctor can be tremendously beneficial. Adipocytes (fat cells) also produce estrogen and in states of excess adiposity, we also see increased estrogen levels. In the case of the pill, adding additional estrogen into the mix can cause big trouble. While the pill will shut down ovarian production of estrogen, it does not stop your fat cells from producing estrogen. 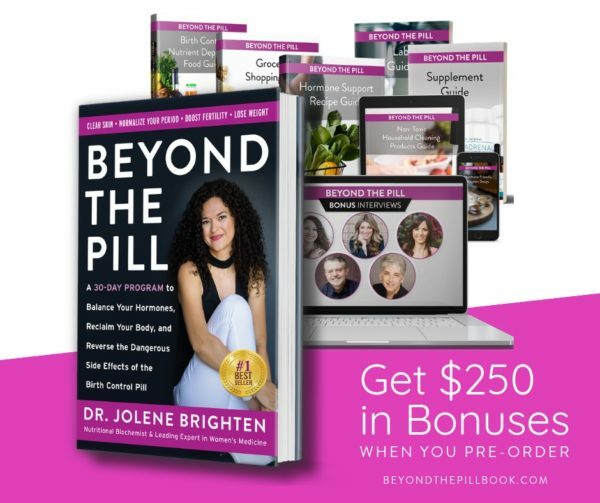 In Beyond the Pill I provide a meal plan, recipes, and lifestyle practices to support estrogen metabolism and gallbladder health. There is also a comprehensive supplement protocol that will help guide you in understanding if supplements would be beneficial for you. I’ll share a couple in this article as well. How do you know if you have a bad gallbladder? Gallbladder disease can present in a number of ways. Symptoms include nausea, indigestions, upper right abdominal pain and in some cases, vomiting, after eating meals that contain fat. Where is gallbladder pain felt? While some women experience pain in the upper right side of their abdomen, back pain can also be a sign of gallbladder disease. Upper right shoulder blade pain or aching can be a sign the gallbladder is struggling. If you’re feeling concerned about your gallbladder then that warrants a discussion with your doctor. They can perform a physical exam to test the health of your gallbladder, along with imaging like an ultrasound to evaluate the current state of your gallbladder. Does Gallbladder Pain Come and Go? Gallbladder pain is often correlated with meals. With that being said, some women experience it at other times and can even have pain when going to sleep at night. Because gallbladder pain can come and go, it is important not to dismiss these symptoms and get it checked out by your doctor. Can You Live Without Your Gallbladder? Sure, you can live, but it isn’t without side effects. And this is why I wanted you to think about it like a designer purse. Not super necessary, but your liver would be sporting a super sad face if it lost its coveted accessory. What Are the Side Effects of Having Your Gallbladder Removed? Having your gallbladder removed can result in temporary or chronic diarrhea, jaundice (yellowing of the skin), fever, gas, constipation, difficulty digesting fat. An inability to digest fat can result in foul smelling and oily stools, along with nutrient deficiencies like vitamin A, K, D, and E.
The first step is to understand the health of your gallbladder. A common lab test known as a Complete Metabolic Panel will provide you with info on your bilirubin, alkaline phosphatase, and liver enzymes. Depending on your symptoms and the result of blood work, imaging may be necessary. Your doctor can help guide you in this. This can support your body’s absorption of fat and fat-soluble vitamins, and give your gallbladder some much needed assistance. I use Digest, a formulation with ox bile, digestive enzymes, and hydrochloric acid in my clinic to offer women comprehensive digestive support. Women typically take 1-2 caps with meals that contain protein and fat. It works best when taken in the middle of your meal. As I explain in Beyond the Pill, your liver and gut are key players in estrogen metabolism. Nutrients like DIM, B vitamins, Calcium d-Glucarate, and broccoli see extract can be highly beneficial in supporting this process. Consider taking Balance – Women’s Hormone Support Supplement daily to support healthy estrogen levels. Including fiber, cruciferous vegetables, like cauliflower, broccoli, and kale can help you process and eliminate your estrogen as well. I provide an entire nutrition protocol for optimizing hormones in my new book! Vitamin C rich foods like bell peppers, strawberries, grapefruit, and kiwi can help with preventing the formation of gallstones. Studies have shown lower incidence of gallstones in individuals who regularly supplement with vitamin C. While a vitamin C supplement may be beneficial, it is important to also ensure your diet is rich in vitamin C as a foundation to a healthy gallbladder. If your gallbladder is struggling and you’re on the pill then it may be time to think about a new contraceptive. And that is step one before you ever stop birth control—find a back up method to not get pregnant. 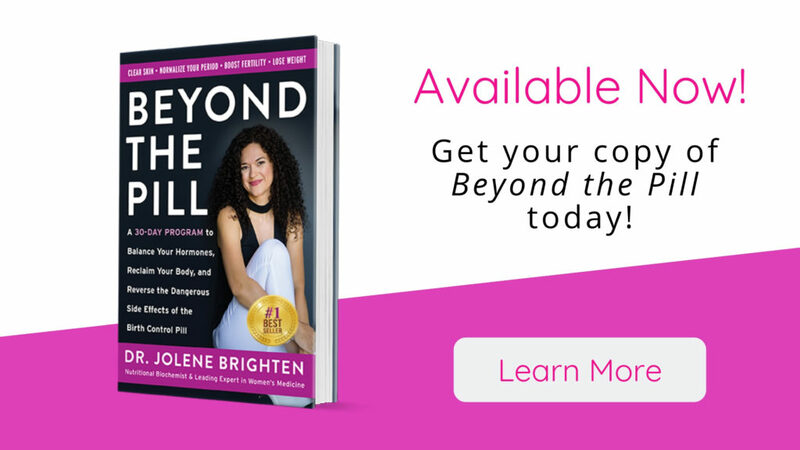 If you’re thinking about coming off of birth control and wanting to get your hormones and health back in balance then I encourage you to check out my new book Beyond the Pill.